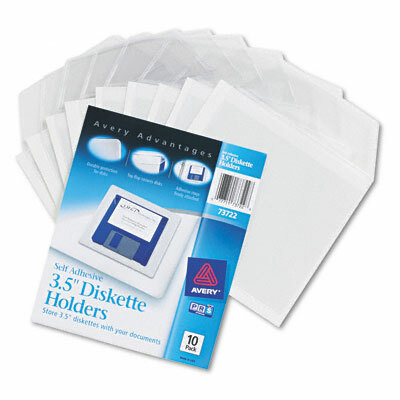 Easily attach 3.5" diskettes to files, binders and reports with self-adhesive pocket. Easily attach 3.5" diskettes to files, binders and reports with self-adhesive pocket. Ten pockets per pack.